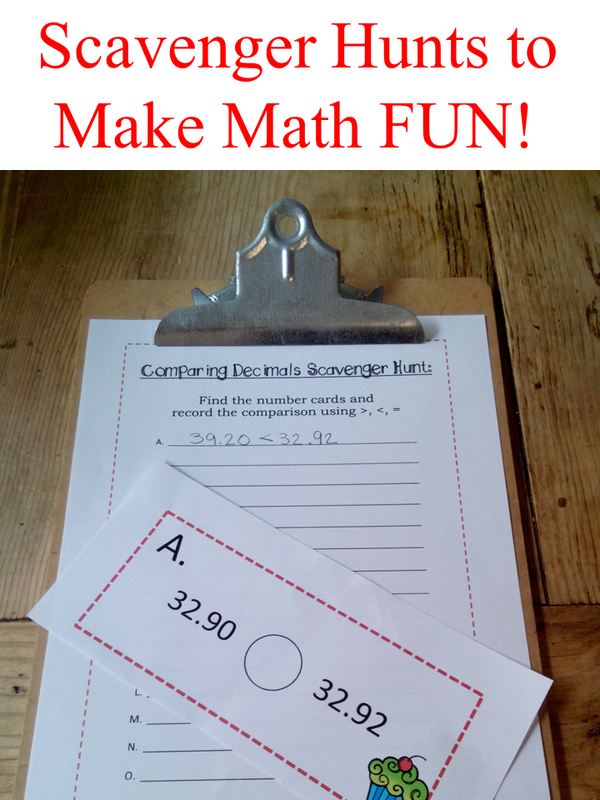 Make a Math Scavenger Hunt! A Math Scavenger Hunt is a great way to get your students moving while they are practicing Math skills! Type up or write some problems for your students, number them and post them around the classroom or homeschool room! Give them a piece of paper or a fancy “record sheet” to record their answers as they work around the room. This is also a fun way for parents to review skills with their children at home before a test! If you want to “jazz it up” a bit you can add stickers or cute graphics and borders. They could be related to hobbies, sports, holidays, things to get your student’s attention. You can even have a page or two with a joke to surprise the students when they find it. Don’t have time to make your own? 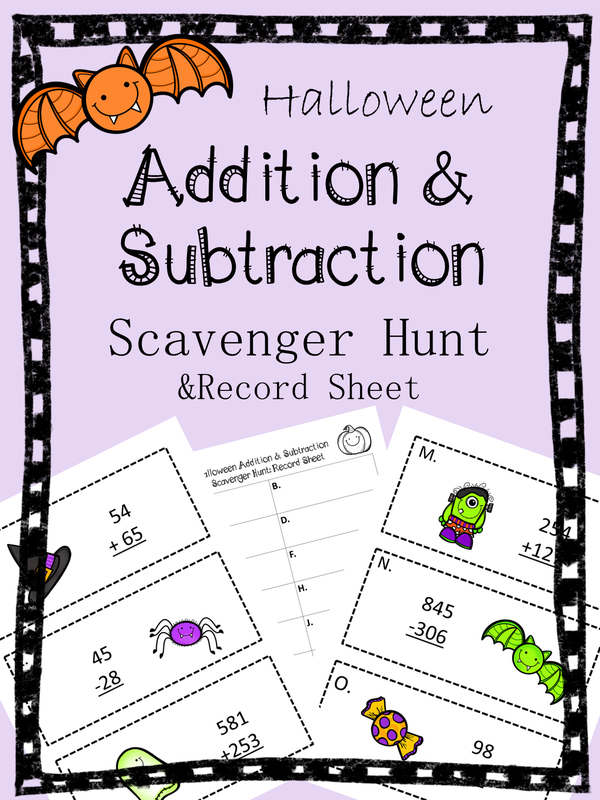 I have some great Math Scavenger Hunts in my TpT Store.